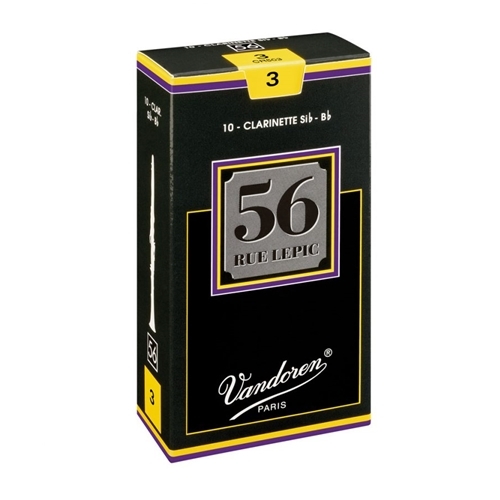 Vandoren 56 rue Lepic - Bb Clarinet Reeds No.3.5+ "56 rue Lepic" reeds offer a rich and focused sound. Designed from thicker cane with a heel taper very similar to German-style reeds, the 56 rue Lepic emits a rich, centered, and extremely pure sound while providing maximum stability and quick response in all registers. Strength gradations are smaller and more specific, resulting in reeds that are very consistent.